Select an apartment or house that you would like to rent. You can check our website, or call/email our leasing agents to find out about our properties. Next, we will send you a lease that you can read, sign, and then send back through email. Finally, you will need to make your deposit over the phone by credit card at 412-682-5886. The deposit includes first month’s rent, your security deposit, and $40 application fee per person. 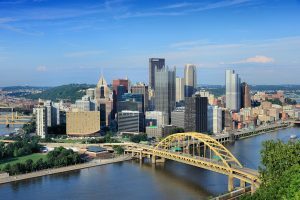 Pittsburgh, lovingly known as the City of Bridges, has a historical and cultural richness that makes its residents extremely proud. Pittsburgh has all the benefits of being a large city that feels more like a small town. You will notice our strong sports culture right away being home to the Pittsburgh Penguins, the Pittsburgh Pirates, AND the Pittsburgh Steelers. Our friendly residents, performing arts theaters, top-notch medical facilities are just a few of the perks of living in Pittsburgh. Whether you’re living in Oakland, Squirrel Hill, or Shadyside, the neighborhood you choose will have an appealing mix of retail, restaurants, and fun activities. Close to Phipps Conservatory, the Carnegie Museum of Art, Carnegie Mellon University, the University of Pittsburgh, and many of our other academic centers, whatever your needs, our goal at Meyers Management is to make sure that your transition is smooth and comfortable. You’ll find below helpful information for living in Pittsburgh. If you have questions, don’t hesitate to call our office at 412-682-5886. For local transport needs, our public transportation system is managed by Port Authority of Allegheny County, affectionately known at PAT. From downtown, the Pittsburgh International Airport is less than an hour away. Trains and buses are available via Amtrak train station, Greyhound, and Megabus stop, all located downtown within the same vicinity. Google Transit is a good public transportation information service. Some students are provided bus passes as part of your student fees. For inquiries, contact the appropriate department at your university. The basic fare for bus service is $2.75 and children under five ride free. Exact fare is required on all buses. Drivers do not carry change (fares subject to change). With a Connect Card, you can save .25 per ride and a connect kids card allows children to ride at half fare. You must have a Connect Card to get these rates. For traveling short or long distances you may find the use of a bike, your own or use Healthy Ride, Pittsburgh’s Bike Share program. For an excellent bike education, check out BikePgh. Airport Buses (Bus number 28X )runs at the same fair as regular buses $2.75 and stops in Oakland and Downtown. Transfers for $1.00 with a connect card. Schedules for various routes throughout the city can be found at the PAT website or by calling PAT customer service at 412- 442-2000. If you have a car of your own or wish to rent a vehicle, you will only be able to receive a Pennsylvania driver’s license if your I-20, DS-2019 or H-1B status is valid for more than one year. If you will stay less than one year, and you would like to drive, you must bring your valid current home-country license and the international drivers permit (in English). Further directions can be found at the Pennsylvania DMV website and also on the OIE handout (.pdf). Pittsburgh offers a variety of neighborhood shopping districts within a short walk or bus ride where you may purchase clothing, furniture, appliances, household supplies, cosmetics, as well as general goods and a variety of food options. 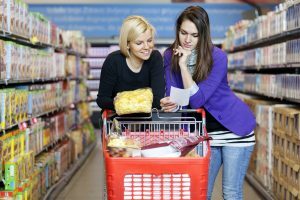 Supermarkets and grocery stores are usually open from 6:00 am to 11:00 pm. Some, such as Giant Eagle are open 24 hours a day. Pharmacies are places where you can fill medical prescriptions. CVS, Walgreens, and Rite Aid and Target are conveniently located. Here, you’ll also find household goods, toiletries, and personal items. Some locations are open 24 hours. For your specific shopping needs, shopping malls or shopping areas have many store choices for clothes, electronics, makeup, etc. Some are located in the neighborhoods where our properties are located, while others, although not too far away, a car or public transportation will be the best option for travel. Shopping malls are generally open from 10:00 am to 9:00 pm every day except Sunday, when they are open from 11:00 am to 6:00 pm. Make sure to check for specific hours. The cost of moving abroad can be expensive. It is said that one person’s trash is another person’s treasure. As a student or a young family new to this country you can save money by buying gently used items from clothing and furniture to household goods like dishes and curtains. Garage and yard sales are popular during the warmer months as people sell perfectly good items they no longer need or want. To complement your unique personal style, check out the Avalon Exchange in Squirrel Hill. For a large variety of quality used items go to Goodwill and Thriftique. Don’t forget the Pittsburgh Post-Gazette, PennySaver (a free newspaper delivered to homes in local neighborhoods each week) or craigslist when searching for household items. You will be surprised by what some people throw away curbside for others to take. Keep alert because you might just find that perfect something for free! The State of Pennsylvania charges a 6% sales tax, with 1% additional in Allegheny County, on all purchases except unprepared food, clothing, and medicine. Other states and cities also charge sales tax on purchases, but there is no uniform nationwide sales tax. Renters insurance can offer a peace of mind and security for those unexpected events as a result of theft or damage. It is a relatively inexpensive upfront cost that can save you thousands down the road should an unfortunate occurrence happen. We suggest that you strongly consider making this purchase for the protection of your belongings. The landlord’s property insurance covers the physical dwelling but will not cover the cost of your possessions. Having renters insurance, should your personal property, such as your sofa or computer suffer damage due to a fire or is stolen, you are covered. Remember to make an inventory list of your belongings and make sure you can access your list in the event you need to report a claim to your insurance company. To manage your finances, having a US bank account will make this process easier. As a student, you can directly deposit your financial aid awards money and stipends, as well as have money deposited in your account from home. Having a US bank account will allow you to write checks to pay your bills, our use your banks’ online bill pay service. Many area banks offer debit cards with the Visa or MasterCard symbol which will allow you to make purchases wherever these cards are accepted. There are several different types of accounts to include checking or savings accounts. They are both useful and serve different purposes. When you find a financial institution that you wish to do business with, you will be provided with adequate information to make an informed decision, as well as walk you through the process for how to open an account. Note: Some students are told that they need a US Social Security Number (SSN) before they are able to establish telephone or other utility services. This information is incorrect. Students who do not have an SSN may have to complete an application and submit copies of documents (such as a passport and a student ID) and may have to pay a deposit. If the employee you are speaking with seems unaware of the procedure for starting service without an SSN, politely ask to speak to a manager or call back and talk to another employee.